Stress is one of the leading causes of trapezius pain. The trapezius muscle plays a key role in the functioning of your head, neck, and shoulders, which explains why it’s heavily affected by stress. Learn how to care for and reduce trapezius pain with help from FastMed Urgent Care. Relax the shoulders. When under stress, the shoulders naturally react by hunching and tightening. Take a deep breath and loosen your shoulders throughout the day. Proper posture. Good posture helps to maintain the natural curves of your back, putting less pressure on the shoulders. Frequent massage. Self massage or professional massage sessions will help loosen the muscles. Targeted exercise. There are important exercises targeted for the trapezius muscle, with or without weights. Yoga. Taking yoga classes reduce stress and stretch the trapezius muscle. If you’re experiencing trapezius pain, or in other areas of the body, stop by FastMed Urgent Care. Our team of medical professionals are dedicated to providing quality care for all of your basic health needs. 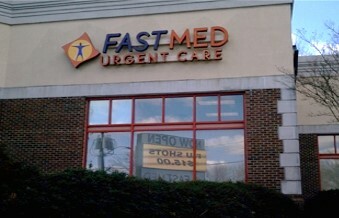 FastMed is a convenient and affordable solution, offering extended business hours. We also accept all major insurance carriers, but we encourage you to check out our insurance page to verify your specific plan is accepted.